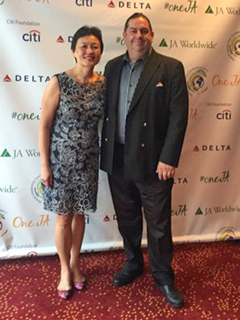 Los Angeles, CA-- Walter O’Brien, the founder and CEO of Scorpion Computer Services, Inc., joined the keynote panel at Junior Achievement’s annual Global Leadership Conference 2017 in Atlanta, Georgia. Junior Achievement (JA) is a non-profit organization that coaches real-world experience to students through a hands-on curriculum, delivered by top industry leaders and experts for almost 100 years. 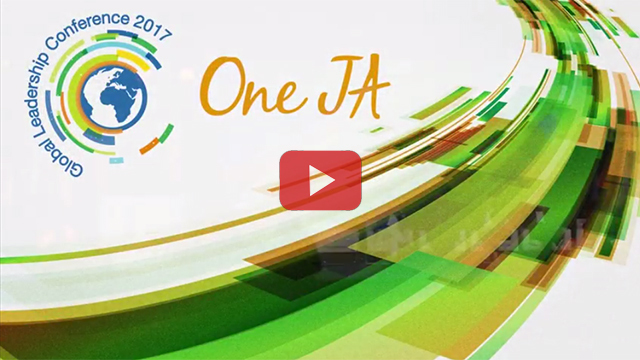 Each year, more than 470,000 JA volunteers work with over 10 million students in 100+ countries. 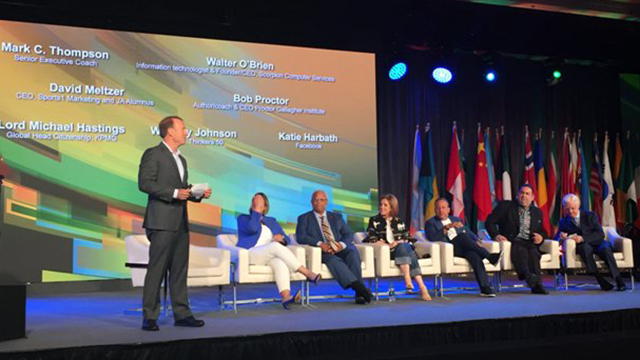 Joining O’Brien on the distinguished panel were Facebook executive Katie Harbath, Lord Michael Hastings – Global Head of Corporate Citizenship, KPMG, Whitney Johnson, author of Disrupt Yourself, speaker Dave Meltzer, and Bob Proctor. Walter O’Brien, known for a decades-long career building one of the most capable, global consulting corporations explained how he handles high IQ vs EQ, learned his way around computers, and hacked into institutions including the Bank of England and NASA before the age of 16. Using his hacker name, Scorpion, he opened up a company of the same name. His motivation? He knew he didn’t want to work in agriculture, having grown up working on a family-run Irish dairy farm. He built a company of high IQ experts, only to learn that emotional quotient, or EQ and social skills were key to managing that IQ to successfully solve problems. Since founding Scorpion Computer Services in 1988, O’Brien has consulted for some of the world’s largest financial institutions, software companies and militaries on software infrastructure and architecture, efficiency, and security consulting. A sought after resource on the topic of cybersecurity, O’Brien spoke to solutions on ransomware and contemporary security concerns on CNBC and FOX News in 2017. As a “second act,” O’Brien sought to help individuals with the company he built full of communicators and problem solvers. Unrestricted to technical problems, he opened ConciergeUp.com for individuals. “If you want to search something, type in Google. If you want it to happen, type it in here,” explains O’Brien. ConciergeUp.com chose a winning race horse based on its DNA, retired a clients parents to Florida, found odorless and tasteless foods for a daughter with anorexia and got a book on the New York Times bestseller list. Slowly the inquiries trickled in, leading to Scorpion Computer Services’ demand for more problems solvers. To attract more engineers and top communicators, O’Brien assembled to producers of Transformers, Spider-Man, and Star Trek, the director of Fast and Furious, and the writers of The Sopranos, Prison Break and Hostages to “replace CSI as the number show on the air for the next ten years.” Scorpion now in season four, airs in over 180 countries. Many of the twelve year olds watching the show want to grow up to become scientists now instead of Kim Kardashian,” says O’Brien. A leader in the S-T-E-M movement to encourage the study of science, technology, engineering and math, O’Brien won Unite4:Humanity’s 2017 Humanitarian of the Year award for his work in the field. Scorpion has won the most innovative product and most innovative company award being named the Patrick Soon-Shiong Innovation award winner by Los Angeles Business Journal. In 2017, O’Brien won Unite4:Humanity’s Humanitarian of the Year award. For over two decades Scorpion Computer Services has contributed to the greater good by managing geniuses as they transform Scorpion client ideas into reality.